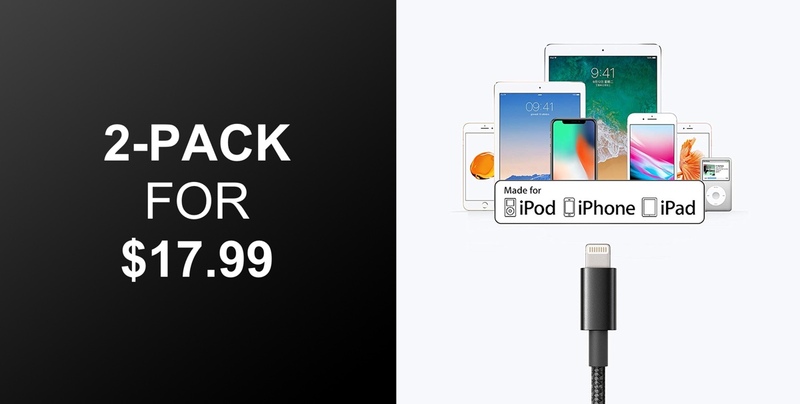 Anker via Amazon is currently offering the opportunity to grab a 2-pack of its nylon-braided MFi Certified Lightning cables for just $17.99. The cables offer compatibility with an array of Apple devices and are guaranteed to offer a premium and lasting experience. Charging and data synchronization cables are never going to be a consumer’s most wanted or appreciated purchases. In that respect, they are kind of thought of in the same fashion as house or car instance in that nobody really wants to purchase them but everyone really appreciates just how much they are needed and used on a day-to-day basis. Still, even if the cables are super important, it’s still always beneficial when we can offer the purchase of them at a reduced price. 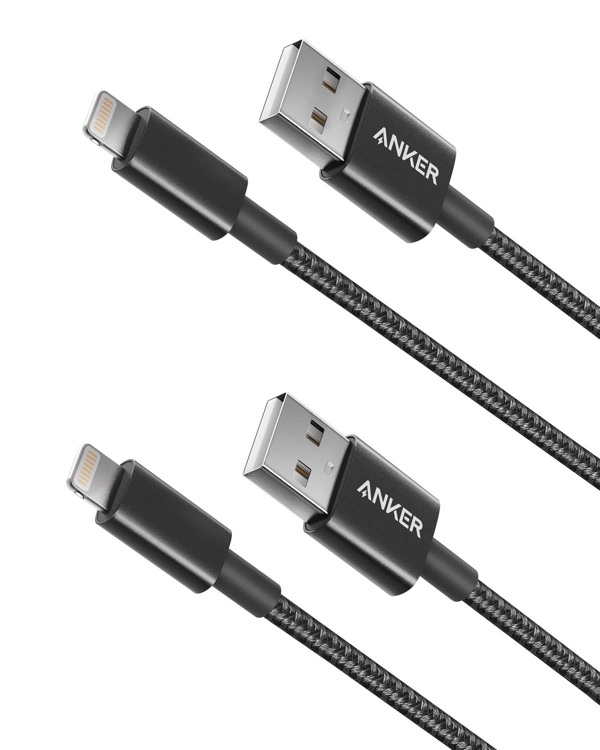 As mentioned, this deal is going to get you two of Anker’s premium Lightning cables in a single purchase, offering compatibility with an array of Apple’s devices, including modern iPhone models, the latest iPad models, the Apple TV Siri Remote, and even the current-generation Apple Magic Mouse, the latter of two of which need a cable of this nature to charge the internal battery. The cables are also manufactured in accordance with Apple’s MFi Program which is designed to ensure that third-party companies are adhering to the strictest quality standards for the accessories and peripherals which are designed to be used with Apple devices. By conforming to Apple’s guidelines, the Anker cables offer proven durability via a double-braided nylon exterior. They also come with premium unibody connectors, the aforementioned Apple MFi certification, and are built to stand the test of time and withstand detachment issues when using the cables on a daily basis. It, of course, depends on usage, but Anker suggests that these cables should last for up to 5-times longer than standard Lightning cables, which really makes this deal an absolute steal when you consider that you are going to be getting two 6-foot cables for just $17.99. As always, you can grab the deal from the direct link below but make sure to act quickly before the price rises or the stock levels deplete.